JPMorgan Chase & Co. is a U.S. multinational banking and financial services holding company headquartered in New York City. JPMorgan Chase Bank is providing Text and mobile Banking for all Chase bank account holders. 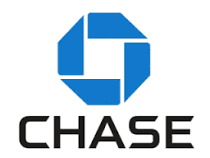 If you have JPMorgan Chase bank account then you can also register your mobile number with Bank and signup for text banking from Chase bank official website. Only one mobile number can be register for this facility. Question: How to check chase balance on phone? You can check by using Text Banking or Mobile Banking App. Using Text Banking in Chase Bank, you can get account balance by 24/7 and last 5 transactions. Question: How do I sign up for text banking? Log in to Chase.com, and click "Try Chase Mobile®" at the right side of the page under "Customer Center." On the "Chase Mobile® Sign Up" screen, you'll see all the benefits of using Chase Mobile®. Click "Sign up for Chase Mobile®" to get started. You'll be asked to enter and verify your mobile phone number. After clicking "Next", you'll receive a text message with an 8-digit verification code. Enter the code in the "Activation Code" field, and click "Activate." You'll only need to do this once as a security measure to ensure that only you can access your account via text. On the confirmation screen, you'll see your account nicknames, which help you differentiate your accounts. You can edit your account nicknames at any time. To the right, you'll see a list of the commands that you'll use for texting information. Chase bank is also providing Mobile banking by using "Chase Mobile® app". You can download it from Android; it is compatible with Android OS 4.1 and above. The Chase Mobile® app is also compatible with iPhone, iPad and iPod touch devices with iOS 8.0 and above. Please note: This information for reference purpose only, visit official Chase Bank website for verified information.